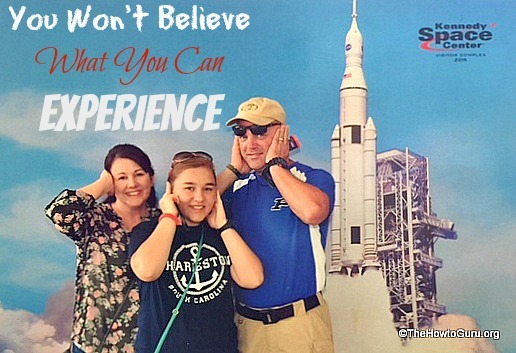 You Won't Believe What Your Family Can Do At Kennedy Space Center! 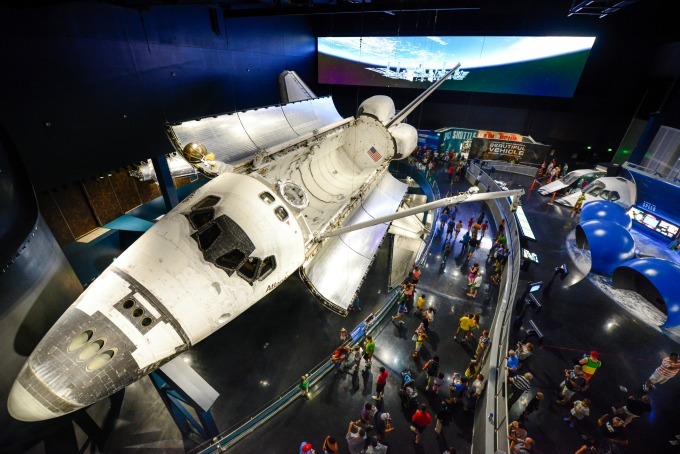 You Won’t Believe What Your Family Can Do At Kennedy Space Center! 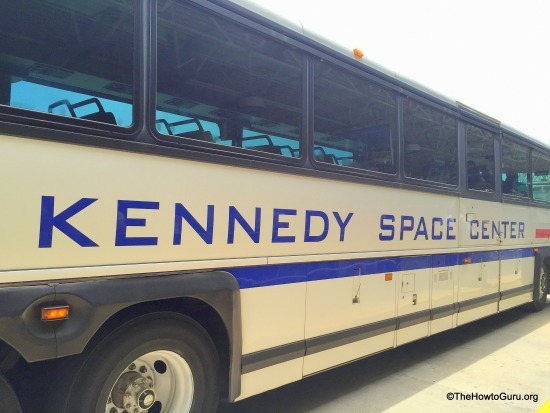 Is Kennedy Space Center an educational-only attraction that’s boring? Absolutely not! NASA is an icon of space history and innovation but also one of the most exciting family vacation attractions our family has ever visited. 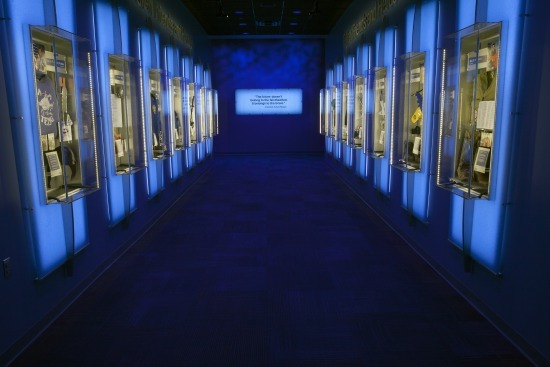 Let me share with you just 7 of the amazing things you can experience at this Florida attraction that your family will never forget (and that every American needs to see in their lifetime) …..
(We received complimentary media tickets, but as always, you get my honest, Southern opinion). I still can’t get over all the super cool stuff we got to experience. If a Wifey my age is completely giddy over it, can you imagine how kiddos will react? Let’s get to those must-see activities, shall we?! 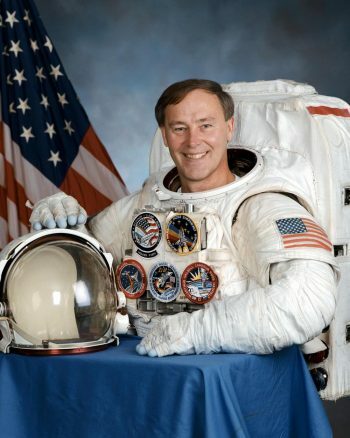 The Kennedy Space Center Astronaut Encounter show gives everyone time to listen to, chat with, and photograph a veteran astronaut. 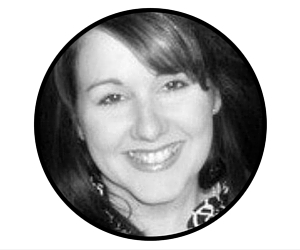 They’ll talk about their experience and then you will have a chance to ask your burning questions! Don’t forget to bring your camera because, after the live presentation, you can catch a quick photo with your new astronaut friend. Every day at 4 p.m., the astronaut of the day signs autographs on the second floor of the Space Shop, which is the world’s largest store with space-related memorabilia. You can also have Lunch with an Astronaut while they talk about what space is really like as y’all eat from an incredible buffet provided. Space Shuttle Atlantis is suspended at the exact angle in which it flew, so get up close and personal with this vehicle that flew 146 different astronauts in space from 1985 to 2011. The cargo bay is opened up for your family to stand underneath in awe at the sheer size and innovation of this incredible aircraft. Nearby are sixty exhibits to try out your family’s own astronaut skills. Within the Space Shuttle attraction area, there is now a permanent memorial that is dedicated to the crew members that lost their lives during the Challenger and Columbia space shuttle missions. Something not-to-miss, “Forever Remembered” showcases both flight crew’s personal items that reveal their individual personalities and passions. Also included in the memorial are pieces of recovered hardware from both flights. 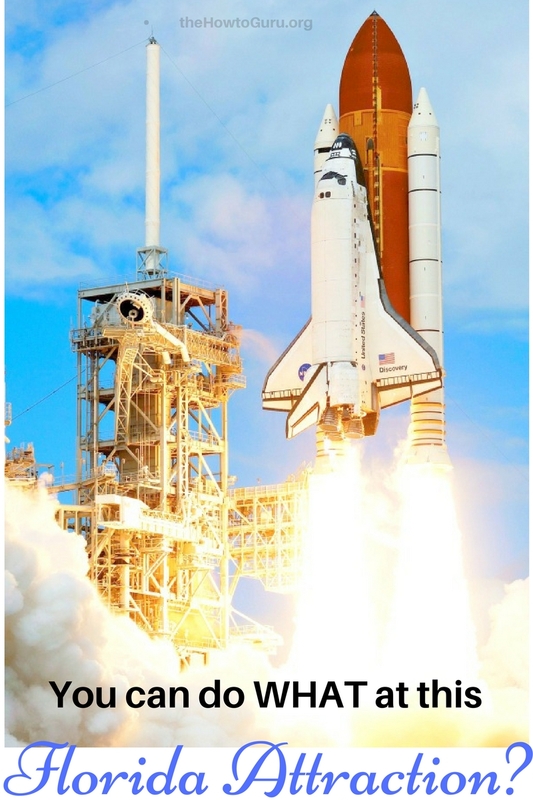 For those who are itching to know the reality of a real launch, the Shuttle Launch Experience is the next best thing. 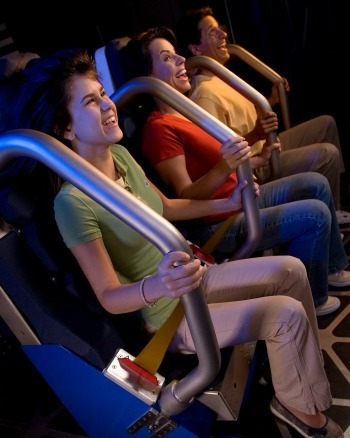 Experience the simulation of events, sights, and sounds that lead up to takeoff, how it feels to thrust into the skies at hyper speed, the views you see, and how it feels to land. Are you ready? 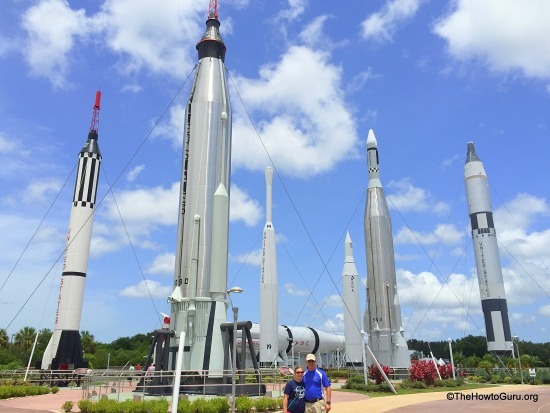 Find out what the inside of rockets look like at the magnificent Rock Garden that holds replicas of rockets used for many great missions. Signage explains which one helped launch NASA’s first satellite, which one was used to launch Apollo 11, and more. When the sun goes down, you can experience the lighting effects added to give special attention to this awesome site. Recharge and get excited about visiting launch pads and the launch site of Apollo 8, and the same place where the launch to mars will happen. An entertaining driver makes the trip fun as you also see the vehicle assembly building (where the space machines have been constructed) and the Apollo/Saturn IV Center (my personal favorite place). 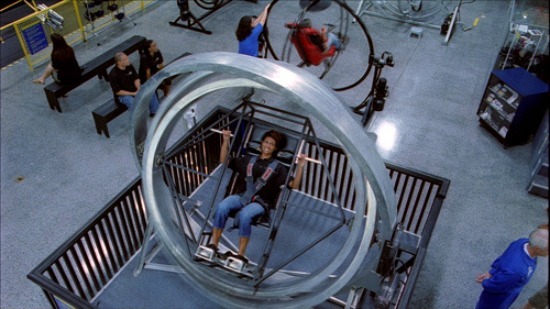 The Astronaut Training Experience allows you to go through a half day of the rigorous skill training that begins with a briefing about your upcoming mission and questioning from veteran astronauts. You’ll even “graduate” when your physical and mental training is complete and you are congratulated on your accomplishments. Do you have your Kennedy Space Center tickets yet? This looks so cool. My girls would so dig it. My father was a huge shuttle enthusiast and I know he’d have loved visiting here, too. I have lived in Florida my whole life and have still never been to Kennedy Space Center!! It has been on my bucket list for a while! I went as a kid, but I’d love to bring my family now. Thanks for the information for planning a visit! We visited a few years ago and it was so much fun! Atlantis shuttle was awesome to see. We live in Houston so we have the twin, Houston Space Center here. Both are very different and have different exhibits. I know our adults kids and the grandkids would have a great time there. Grandma and Grandpa want to go along as well and have fun. Wow! The Kennedy Space center was not on my list of family vacation destinations, but now it is. My favorite part is being able to meet an astronaut. This would be such an awesome experience for my girls. I’m waiting on the kid to get bigger…i know my husband will love it! I visited almost 30 years ago and it looks like a completely different place. I’ll bet the “Forever Remembered” gallery was touching – I remember both those events. Anyway, looks like it’s time for a revisit! Loved this. Thanks for sharing all that information! I regret to say that I’m one of those that thought the center was an educational place only. This sounds like a lot of fun! We are headed down to Florida next month, and now I”m going to see if you can swing by the Kennedy Space Center! It’d be so cool to meet an astronaut! My husband was there for the very first shuttle launch. He managed to get a signed photo. Unfortunately it’s not Neil Armstrong. He has had it hanging on his wall since he was a child. This looks like such a fun tour..Id love to got there, great tips! I went as a kid, but I’d love to take my boys now. Thanks for the all the detailed information for planning a visit! There is so much to do. My soon to be 4 year old would LOVE this! He’s really into space right now. We’re thinking of going to Florida one day for Disney, but now you have me wanting to stop here too! Great information, thanks! When my boys are a little older, I would LOVE to take them there. It looks like the perfect blend of adventure and education. We go to Florida often and have been wanting to check this out!!! Great tips I pinned for later! My son would love to go here, We’ll have to do this someday! I used to love going there as a kid! We did a sleepover under one of the shuttles one time too! Which was super fun! This is so cool! I would love to check this out, even as a grown adult 🙂 Looks amazing – thanks for sharing! Wow, this sounds like a ton of fun and how cool veteran astronauts come by and give autographs!